Enter For A Chance To Win Pass To See MISSION: IMPOSSIBLE – FALLOUT on July 23rd at 7:00 PM in CLEVELAND. 4 tickets please. love tom! 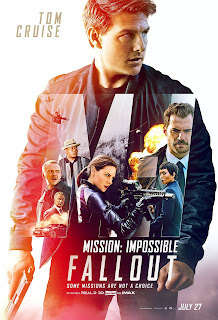 #missionimpossible My kids and I would love to attend the Mission Impossible screening!!! If possible 4 tickets, but I’ll take what I can get. 2 tickets is all i need! thank you!! 2 or 3 tickets is all I need.